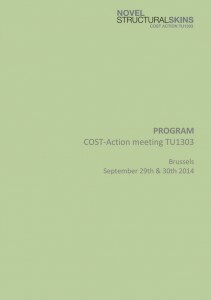 Download here the full program of the COST-Action meeting in Guimarães on 08th and 09th September 2015. The meeting will take place at the University of Minho on the Campus of Azúrem, Alameda da Universidade, Guimarães. Sessions will take place at ZONE 2 and ZONE 3. All official e-COST invitations for the meeting in Guimarães were sent by e-mail on Saturday July 25th. If you did not receive an invitation, please check your spam folder or contact us. When you have received the e-COST invitation by e-mail, please do not forget to ‘accept’ or ‘decline’ the invitation by following the link in the invitation e-mail. The closest airport to Guimarães is Francisco Sá Carneiro Airport in Porto, which is about 50 km from Guimarães. Please note that COST will NOT reimburse transport by taxi from the airport to Guimarães. Public transport, such as the train (indirect via Porto Centre) or the direct bus (getbus) will be refunded by COST. Please take this into account when booking your flight. You can already fill in your ‘travel information and expenses’ in the online form and SAVE them. Important: do NOT yet ‘submit’ your claim (in Step 5/5)! After having submitted your claim, you can not add costs anymore to this form. So please submit this claim only after the meeting and when all expenses have been specified. Unfortunately, Working Group 1c Fabric Formwork will NOT meet in Guimarães! WG1c had a meeting in August at the IASS Conference (without COST reimbursement). For more information, please check the minutes. – Fibrenamics: introduction to the Fibrenamics International Platform for the knowledge transfer between universities and companies. Please note that COST refunds €100 per night. From Hotels to the Meeting Venue it’s recommended that the participants take a taxi or, if possible, go by foot. The closest airport to Guimarães is Francisco Sá Carneiro Airport in Porto, which is about 50 km from Guimarães. Please note that COST will NOT reimburse transport by taxi from the airport to Guimarães. Public transport, such as the train (indirect via Porto Centre) or the direct bus (getbus), will be refunded by COST. Please take this into account when booking your flight. If you opt for the subway to get to Guimarães, line E is available : Airport – Estádio do Dragão (violet line). 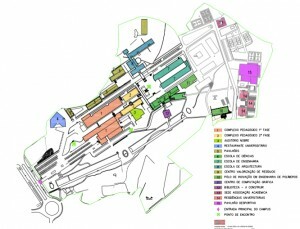 The stop-off is Campanhã, which gives direct access to the Railway Station, with the same name. Trains bound for Guimarães depart from the station of Campanhã. Visit www.cp.pt where you can consult the train schedules and available lines to reach Guimarães.